Every traded item, whether tangible or intangible, requires a marketplace or exchange where buyers and sellers can meet and transact in secure and trusted environment. The cryptocurrencies are no exception. The blockchain marketplaces in fact form the backbone of every cryptocurrency. They facilitate its growth by providing a secure platform where the exchange can occur. 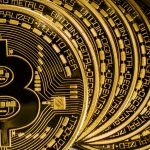 The cryptocurrency exchange makes it possible for users to inter-convert fiat money into cryptocurrency and vice versa. They also make it possible to inter-convert various cryptocurrency pairs. This is important in an era where investors are not just putting money in Bitcoin but also in various promising altcoins. But blockchain marketplace implementations go beyond just creating platform for inter-converting currencies. It lends itself to numerous other innovative applications including in creating ecommerce marketplaces, creating privacy-focused platforms or providing blockchain-powered market insights. A centralized exchange refers to a third party intermediary that links up both individuals and institutions that want to exchange digital currencies with each other in a trusted crypto ecosystem. Centralized exchanges provide a good deal of liquidity in the cryptocurrency, allowing the digital assets to be bought and sold at market rates where the price is wholly determined by the laws of supplies, demand and other market forces. A centralized exchange also provides users with greater convenience in the exchange, allowing them to open accounts and hold their assets and positions. The defining feature in the centralized exchange is that there is a central controlling server. The users make the deposits to the exchange and all these are controlled via a centralized exchange service that has the custody and order books. Unlike the centralized exchange, the decentralized crypto exchange isn’t controlled and coordinated by a single entity. 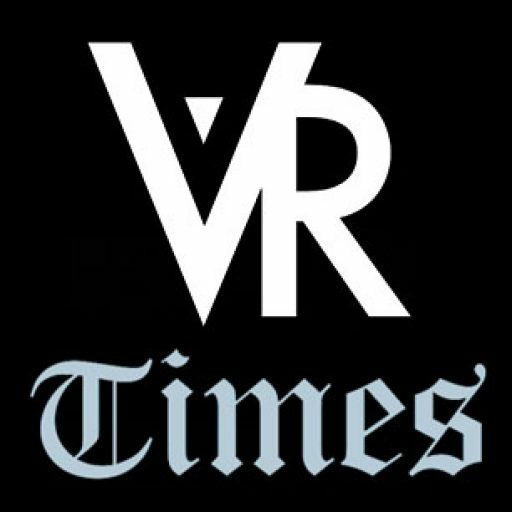 They work pretty much like cryptocurrencies, running on a distributed ledger. The decentralized exchange only works as a matching and a routing layer for the trade orders and it does not hold the funds, positions or the information belonging to the customer. They provide greater anonymity and are less prone to attacks as they do not hold customers’ information, funds or positions. They are also easier to use and do not rely on third party intermediaries. A decentralized cryptocurrency exchange simply handles trade orders via smart contracts and various blockchain protocol implementations. 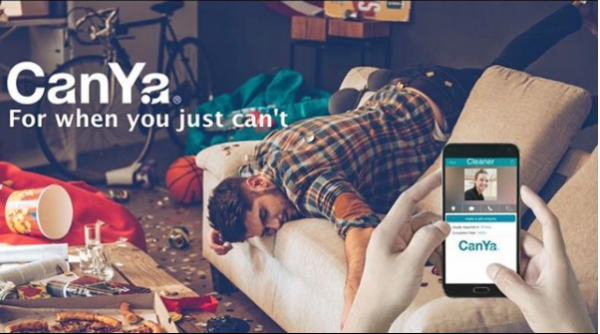 CanYa is the world’s first blockchain-enabled marketplace for peer-to-peer skilled services. It is a peer-to-peer marketplace where users can be instantly linked up to service providers. The CanYa’s initial coin offering (ICO) is currently ongoing with the advantage that the blockchain-powered marketplace already has its systems and working product in place. The marketplace began by soft-launching its product in Australia where it has seen a high user growth without any marketing. The company is currently conducting its ICO in order to finance its global expansion. The platform aims to become a fully decentralized peer-to-peer ecosystem for all kinds of skilled service providers such as programmers, web designers, content developers, graphic designers and software developers among others. Coimatic is the blockchain equivalent of ecommerce deal and discount marketplaces such as Groupon and LivingSocial. Coimatic offers users a blockchain-powered decentralized marketplace where buyers from all over the world can access deeply discounted deals on products and services. Buyers on this platform can access up to 90% in discounts on select products and services by suppliers from all over the world. Sellers can on their part leverage the platform to sell their products at deeply discounted rates and attract numerous customers at the same time. Coimatic offers a secure and user-friendly blockchain-powered platform where both the buyers and sellers can meet. Companies or sellers have to create a merchant account on the coimatic marketplace while buyers create a buyer account and then subscribe to the relevant categories so they don’t miss out on the latest deals in their categories of interest. The sellers have to offer buyers the products and services at deeply discounted rates using special and time-limited coupons, just like in sites like Groupon. The buyers are then notified via SMS, email or push notifications if new products are available based on their interest. Coimatic charges sellers a small commission for completed sales. The Divi Project Marketplace has been described as the future of blockchain marketplaces. 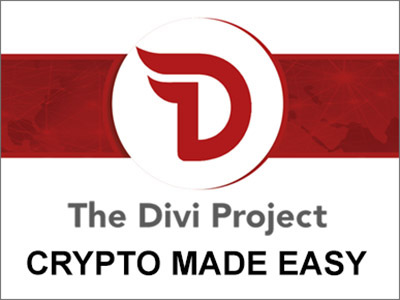 In fact, Divi’s whole approach to its cryptocurrency implementation is to take the digital currency to the masses through a peer-to-peer decentralized marketplace. Its marketplace will be something revolutionary in the blockchain space and will have enormous potential. It will be like an eBay on blockchain. It will solve the challenge of spending your cryptocurrencies. People currently trade in and invest in cryptocurrencies but there is little opportunity to spend them unless they are converted back into a fiat currency at significant costs. The Divi marketplace is designed to solve the challenge of spending your digital currencies by creating a mega online market where you can purchase virtually anything using your digital currencies. In its peer-to-peer marketplace, users will be able to list items for sale for a small fee and attract buyers using the platform. The Divi marketplace offers more than just a buying and selling interface. 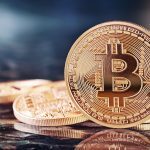 The cryptocurrency will also implement a user-friendly cryptocurrency wallet on the marketplace that will perform multiple functions such as the renaming of wallet addresses, instant exchange, user search, Multisig security, messaging, scheduled payments and subscriptions, automatic taxes and a piggy bank. There will even be a Divi credit card. The Divi marketplace hopes to usher in the new wave of mass-scale cryptocurrency adoption. Lordmancer II is a massively multi-player role-playing game (MPPORG) mobile based game with its own cryptocurrency, the Lord Coin (LC). Players can use the LC for in-game trading (player-to-player trades) and purchases and to facilitate the sale of rare or unique game content. To further encourage the user of the Lord Coin, a player in Lordmancer II must have the means of trading the LC coins and even exchanging them for other cryptocurrencies or fiat money. To achieve this end, Lordmancer II has partnered with the FinTech company Lykke to create a global marketplace that is based on blockchain. 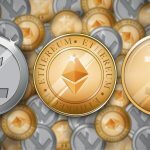 Active Games LLC, the creator of Lordmancer II, will also create a Lordmancer II wallet that will be based on the Lykke payments API. The Lordmancer II wallet which will be integrated into global marketplace will enable players and traders to store, buy and sell their Lord Coins for fiat money and other cryptocurrencies. The Lordmancer II game is currently available for beta testing on both iOS and Android devices. You can download it at http://lordmancer2.io/. If you are a gaming enthusiast, you can certainly enjoy the game as you get an induction into the blockchain world. OmniBazaar is a cooperative blockchain marketplace where users can buy and sell products and services using the marketplace’s own cryptocurrency the OmniCoin or by using Bitcoin. It’s a cooperative or community-run blockchain-powered marketplace that utilizes a distributed structure to eliminate the middlemen and bankers in the ecommerce transactions. A peer-to-peer blockchain-powered ecommerce marketplace is definitely a revolutionary concept. The contributors in the OmniBazaar marketplace community will receive OmniCoins. Users on the platform will also be able to list their products and services on the marketplace for live transactions. 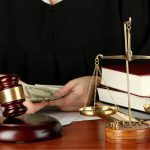 The fees will also be much lower than the ones currently charged on ecommerce platforms such as Amazon and eBay. The creators promise to charge 80% less than what is currently being charged by the existing ecommerce platforms such as Amazon. The OmniBazaar platform will allow participants from around the world to transact on the blockchain-powered ecommerce platform without the need for credit cards, bank accounts, application forms or credit checks. All you will need is a computer, tablet or smartphone. Both businesses and individuals will use the free version of OmniBazaar to transact business. There will be no joining fees, shopping fees, product listing fees, or even monthly or annual membership fees. Users on OmniBazaar are only charged a small commission of less than 1% for every completed transaction in the blockchain-powered ecommerce marketplace. The OmniBazaar Team already has a working prototype and is currently fundraising on Indiegogo to fund the rollout of its marketplace. OpenBazaar is an open source, peer-to-peer decentralized cryptocurrency marketplace where users can trade online and make payments in Bitcoin and 49 other cryptocurrencies. OpenBazaar is a completely open source platform and is not controlled centrally by any entity. That means it is not company, it is not controlled centrally by any entity and is simply an application that is backed by a group of volunteers. It’s like an eBay for blockchain where users can sell and buy items and use any of the supported cryptocurrencies to make payment. 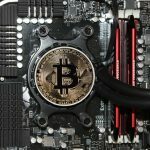 To use the platform, you can simply download and install the software that supports the cryptocurrency marketplace on your computer. Being completely open source, there are no listing, transaction or subscription fees involved. You can also customize your OpenBazaar store to your preferences. You will also not grapple with any censorship when trading on the platform. The OpenBazaar code is public and can be downloaded and reviewed by anyone. OpenBazaar is also planning to introduce its own tokens that you can use on the cryptocurrency marketplace. Website: https://openbazaar.org/. 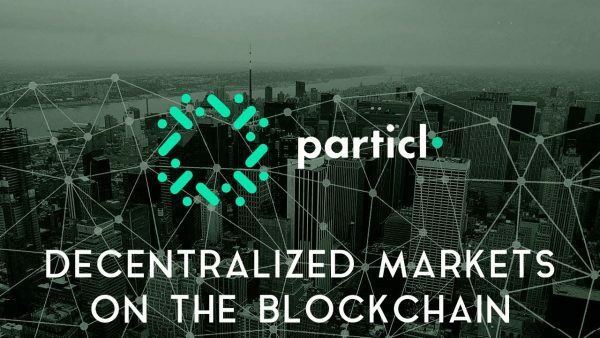 Particl is an open source and decentralized privacy-focused blockchain platform that can be used with any cryptocurrency. You can use the Particl platform to build all kinds of decentralized blockchain applications in an environment that is both secure and highly scalable. The fees generated on the Particl platform are paid to the coin holders that help secure the privacy-focused platform. The Particl marketplace is a privacy-focused marketplace that is an offshoot of the Particl Project. Billed as the world’s most private marketplace, it is a decentralized, secure and scalable marketplace for ecommerce with privacy at its core. The Particl marketplace makes use of various platform-wide features to give users the complete suite of tools required to buy and sell products and services online. The platform puts a strong emphasis on privacy and all the transactions on Particl are fungible (not just private but untraceable). It uses a constellation of privacy services to achieve this high level of privacy including smart contracts, IP obfuscation, metadata leak protection, CT escrow and encrypted messaging. It utilizes a decentralized escrow solution called MAS Escrow that solves many of the trust issues that buyers and sellers might face in an environment where they may not know or trust one another. Shopin is the first ever shopper profile that has been built on blockchain. The company is aiming at running an ecommerce business model that is based on a “decentralized Amazon” built on blockchain technology. It is a global shopper profile that is built to empower other smaller retailers to compete with giants such as Amazon by giving them better business and customer insights in the form of better product recommendations, better rewards for customers that allow retailers to access their shopping preferences and history and more secure ecommerce transactions. 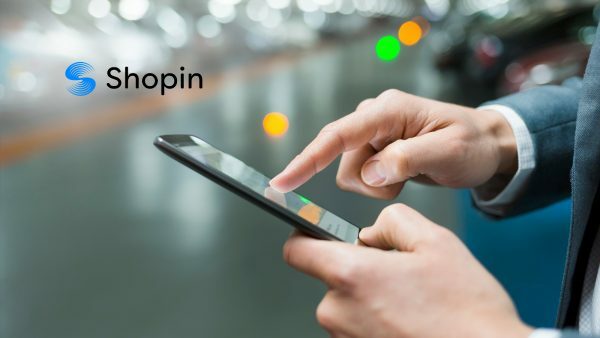 Shopin deploys a decentralized blockchain technology as well as artificial intelligence (machine learning models) to create a sustainable blockchain-powered retail economy where retailers can an edge through collaboration and where shoppers are rewarded depending on the value of the data that they control, own or share. 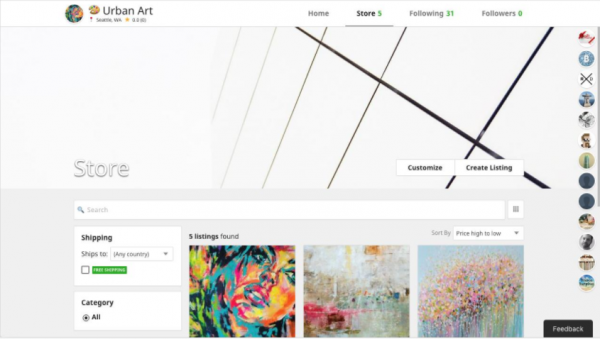 A retailer works in concert with the platform to onboard shoppers and create a Shopin profile that will add years of shopping history and SKUs to the profile of the shopper on Shopin. 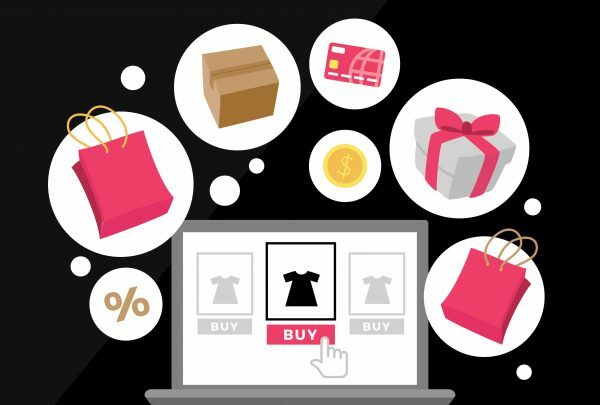 This information is subsequently used by retail sites using Shopin to create a personalized shopping experience for better transactional conversions and more revenues for the retailer. When Shopin users log into websites using Shopin details, they are recognized instantly based on their historical purchase data. For retailers, this creates an Amazon-like experience and data intelligence with shopper recommendations powered by artificial intelligence. A pilot deployment of the Shopin blockchain powered retail platform has seen 719,000 users signing up on the platform by invitation by respective retailers that had the consumer data. Shopin provided the registrants with curated recommendations based on their purchase history and preferences that led to a 22% rise in conversions and generated $14.7 million in extra sales. Soma or Social Market is a decentralized platform that powers trade and social interaction using blockchain technology and its native cryptocurrency called the Soma Community Token or SCT to provide for liquidity in the Soma Community. The Soma Community also has an innovative rewards system where beneficial collaboration among community members is incentivized to ensure that the value-added services are compensated. The Soma Community provides users with a free market ecosystem that is free from market manipulation, bloating, price gouging and price fixing. Soma merges the traditional social interaction on online media such as “liking” or “following” with trading into a single digital platform thereby creating a social element into the experience of trading on the platform. In order to encourage beneficial social behavior, the platform has also integrated other interactions. All these, social interactions and trading, are underpinned by blockchain technology to give the Soma platform greater security and transparency. It has an Interactive Item Card (IIC) that stores important information about an item including the ownership data, the condition of the physical item, its price history as well as whether the item is a genuine or counterfeit one. The users on the platform are also rated and validated by the greater community. On top of this, Soma also integrates an artificial intelligence-powered logistics solution to ensure hassle-free item delivery. The Syscoin marketplace is a fully decentralized and state-of-the-art marketplace that allows you to buy and sell any item. You can create entire stores in the Syscoin marketplace to sell your own products to an enthusiastic community of users. Just like in Ebay and Amazon, you can also sell other people’s products and earn a commission. The main advantage is that you don’t have to grapple with too much interference and unnecessary fees with the Syscoin marketplace. It’s a blockchain-powered ecommerce platform that eliminates the middleman while keeping all the essential features that you would expect in an ecommerce platform. Syscoin is one of the hidden blockchain gems that you should uncover in 2018. Syscoin isn’t an entirely new coin. It has been dormant for four years now since its launch in 2014. Just like the other blockchain-powered ecommerce platforms, Syscoin can also be regarded as the Amazon or the eBay of the blockchain world, offering users a blockchain-powered ecommerce platform at much lower fees. With Syscoin, you can expect to pay at least 95% lower fees than some of the big ecommerce giants while enjoying the speed, anonymity and reliability of a blockchain environment. 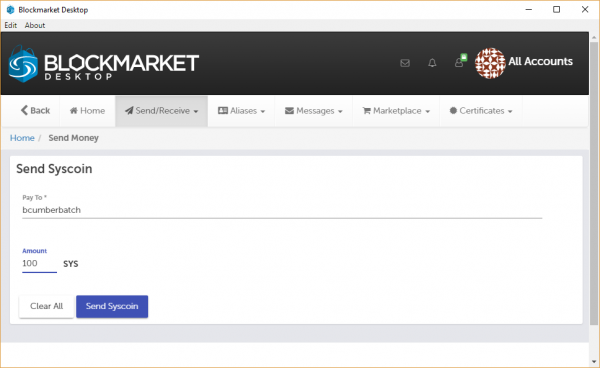 Syscoin also has a cryptocurrency wallet called the Syscoin Blockmarket Wallet launched in late 2017 that has all the features required to send and receive Syscoin (SYS), send encrypted messages to other users, keep all your transactional logs in order, buy and sell items on the blockchain marketplace and do much more.